With the Magic Wand tool, you simply click a color in the image and the tool selects all adjacent pixels of the same (or a similar) shade or color. The Magic Wand lets you control the range of pixels the tool selects, but unlike Color Range, this tool also lets you add non-similar colors to the selection. 1. Click a layer or the Background. 2. Choose the Magic Wand tool (W or Shift-W). Choose a Tolerance value to control the range of colors the tool selects. The higher the value, the wider the range. Check Anti-alias to let the tool add semi-transparent pixels along the edges of the color areas it detects. This will produce smoother edge transitions for your image edits. Check Contiguous to limit the selection to areas that are connected to the first pixel you click, or uncheck this option to allow the tool to select similarly colored, noncontiguous (unconnected) areas throughout the image with each click. To select occurrences of a similar color on all visible layers, check Sample All Layers, or uncheck this option to select colors on just the current layer. 4. Click a color in the image. To add to the selection; from the Option Bar select > Add to selection icon on any unselected areas. To subtract areas from the selection; from the Option Bar select > Subtract from selection icon and click them. Or choose the Quick Selection tool, then with the Alt/Option key held down, drag short strokes across the areas to be subtracted. Click on the Background color, choose a Background color, then press OK.
To select the grey area in this image layer, we clicked directly with the Magic Wand tool (Tolerance 38; Contiguous checked), then selected more grey area areas to add them to the selection (as shown above). Finally, we pressed Backspace/Delete to get rid of the selected pixels. 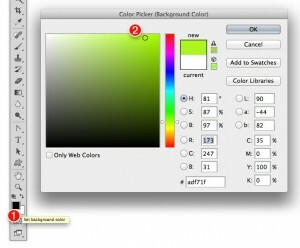 In the Fill dialog box I selected the Background color (set in step 1). To select just one color or shade with the Magic Wand tool, choose a Tolerance value of 0 or 1. You can also lower the Tolerance value incrementally between clicks. For instance, you could use a Tolerance of 30-40 for the first click, lower the value to 15-20 and Shift-click,then to add unselected areas along the edges of the selection, lower the value to 5-10 and Shift-click once more. The Grow command expands a selection only into contiguous areas, whereas the Similar command can add both contiguous and noncontiguous areas to a selection. Both commands select a range of pixels up to the current Tolerance setting of the Magic Wand tool. With the Rectangular Marquee or Elliptical Marquee tool, you can create a selection in the shape of a frame, either at the edge of the canvas area or floating within it. Image edits that you apply to the frame-shaped selection (e.9., filters or adjustments) will be visible only within that area. 2. Choose the Rectangular Marquee toot (M or shift-M). 3. ln the document window, drag a border to define the inner edge of the frame selection. 4, Optional: To soften the edges of the selection, click Refine Edge on the Options bar. In the dialog, choose On White (W) from the View menu, set the sliders to 0, adjust the Feather value to achieve the desired level of softness, then click OK.
5. Press Ctrl-Shift-l/Cmd-Shift-l (or right-click in the document and choose Select Inverse). We drew an inner selection with the Rectangular Marquee tool on this image. … to lighten the area within the selection. 2. Choose the Rectangular Marquee or Elliptical Marquee tool (M or Shift-M), then drag to define the outer edge of the frame selection. A layer mask is an editable (and removable) B-bit grayscale channel that hides all or some of the pixels, type, or vector shapes on a layer. White areas in a layer mask reveal parts of the layer, black areas hide, and gray areas hide partially. Memorizing this simple phrase will help: White reveals, black conceals. When a layer mask thumbnail is selected, you can edit the mask or move or copy it to other layers. At any time, you can disable a mask temporarily, apply it to make its effect permanent, or discard it altogether. 1. Create a selection, which is to become a shape in the mask. 2. 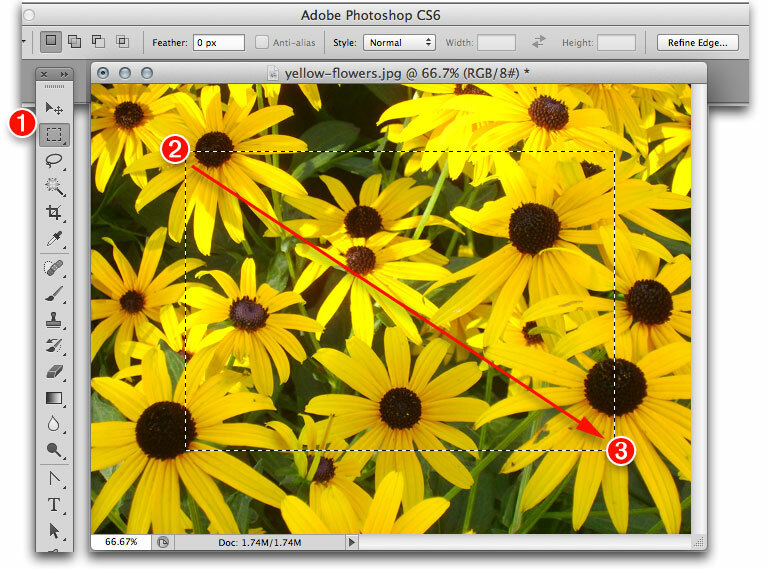 On the Layers panel, click an image, type, or shape layer, a layer group, or a Smart Object. (1) To create a white mask that hides none of the layer or that hides only the areas outside an active selection, at the bottom of the Layers panel, click the Add Layer Mask button. (2) To create a black mask that hides the whole layer or that hides only the areas inside an active selection, Alt-click/Option-click the Add Layer Mask button on the Layers panel. To create a selection from type, (1) Ctrl-click/Cmd-click the thumbnail to (2) create a selection around the type layer. You can then hide the type layer by clicking its visibility icon and (3) Create a new layer, (4) name it properly and (5) Add layer mask. Here I (1) selected the Layer thumbnail and (2) painted on the artboard in the Mask area on the new layer. (3) The mask determines what is visible, and the Layer panel (4) thumbnail will show what has been hidden. 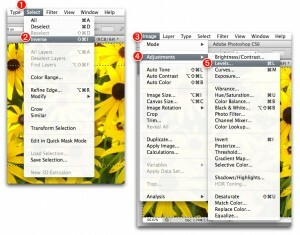 (2) Select Disable Layer Mask to momentarily hide the mask. 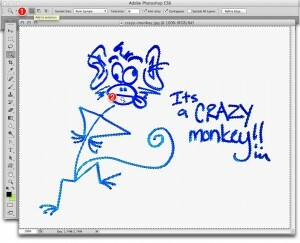 In this task, we edited a layer mask by applying strokes in the image with the Brush tool. In the steps following, we will edit a mask via the Properties panel. 1. Choose the Brush tool (B or Shift-B). 2. On the Options bar click a brush on the Brush Preset picker; choose Mode: Normal; and choose an Opacity of 100o/o to mask or unmask areas fully or a lower Opacity to mask or unmask them partially. To display a mask as a colored overlay on the image, Alt-Shift-click/Option-Shift-click a layer mask thumbnail on the Layers panel. To display a mask in black and white with the image hidden, Alt-click/Option-click a layer mask thumbnail on the Layers Panel. If the Foreground Color square on the Tools panel isn’t white, press D. Apply brush strokes to remove areas of the mask and reveal more of the layer. Press X (to switch the Foreground color to black), then apply brush strokes to enlarge the mask and hide more of the layer. 5. Click the layer (not the mask) thumbnail. In lieu of step 3, you can double-click the layer mask thumbnail, then hold down Alt-Shift/Option-Shift or Alt/Option and click the Layer Mask thumbnail on the Properties panel. To open a dialog in which you can change the color or opacity that is used to display layer masks in your document, right-click a layer mask thumbnail on the Layers panel and choose Mask Options. Click a layer mask thumbnail on the Layers panel, then press Ctrl-1/Cmd-1. Double-click a layer mask thumbnail on the Layers panel to display the Properties panel, then click the Invert button. If you click Color Range on the Properties panel for a selected mask, you can edit the mask using the same dialog controls as you would use to create a selection via the Select > Color Range command. By default, every layer mask that you create is linked to its layer thumbnail, and when moved, the two travel together as a unit. If you want to move either component separately, you have to unlink them first. Note: This task applies only to layer masks, not to vector masks. 1. On the Layers panel, click the Link icon between a layer thumbnail and layer mask thumbnail. The icon disappears. 2. Click either the layer thumbnail or the layer mask thumbnail, depending on which component you want to move. 3. Choose the Move tool (or hold down V to spring-load the tool), then drag in the document window. 4. Click between the layer and layer mask thumbnails to restore the Link icon. 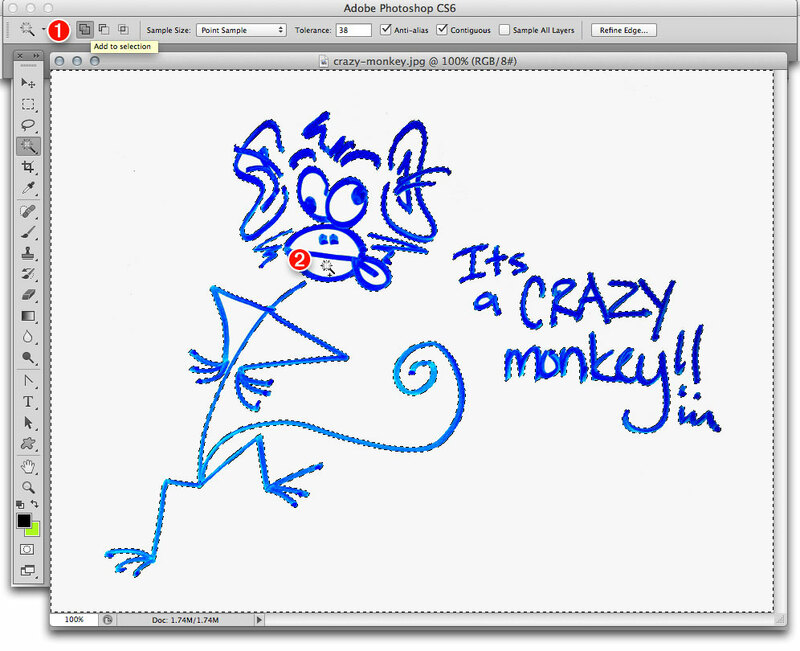 You can move or copy a layer or vector mask to a different layer (but not to the Background). 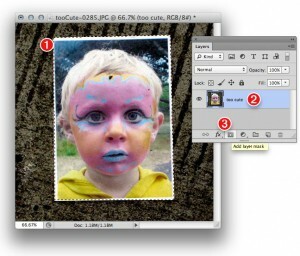 Drag a layer or vector mask thumbnail to another layer. 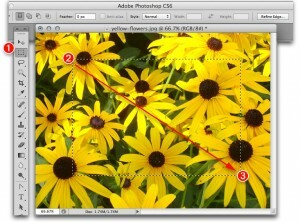 The mask disappears from the original layer and appears on the destination layer. 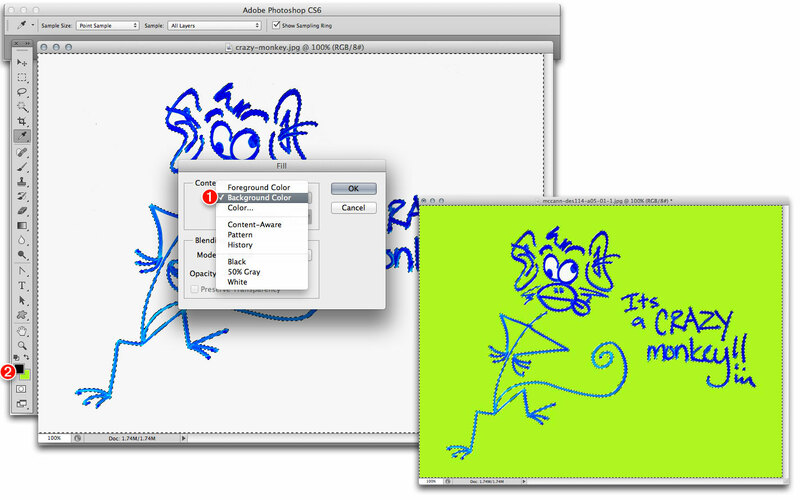 Alt-drag/Option-drag a layer or vector mask thumbnail to another layer. On the Layers panel, Ctrl-click/Cmd-click a mask thumbnail. On the Layers panel, double-click a mask thumbnail, then on the Properties panel, click the Load Selection from Mask button. When you disable a layer or vector mask, a red X appears in the thumbnail on both the Layers and Properties panels, and the entire layer becomes visible. To disable a mask, on the Layers panel Shift-click the mask thumbnail (this doesn’t select the thumbnail). To re-enable a layer mask, just click the mask thumbnail; to re-enable a vector mask, Shift-click the thumbnail. You can also right-click the mask thumbnail and choose Disable Layer Mask or Disable Vector Mask from the context menu (or choose the “Enable” version of either command). To disable or re-enable a mask, on the Layers panel, double-click a mask thumbnail, then on the Properties panel, click the Disable/Enable Mask button. You can discard any masks you don’t need. Deleting a layer mask will reduce the file size slightly; deleting a vector mask will have little impact on the file size. 1. Optional: Copy the file via File > Save As. On the Layers panel, right-click a mask thumbnail and choose Delete Layer Mask or Delete Vector Mask. On the Layers panel, click a mask thumbnail, click the Delete Layer button, then if an alert dialog appears, click OK (or Alt-click/Option-click the button to bypass the prompt). 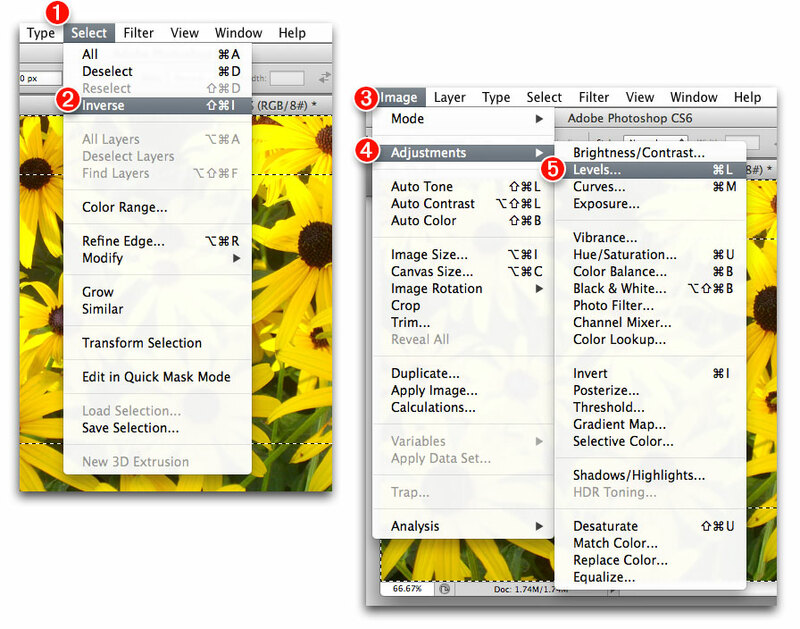 On the Layers panel, double-click a mask thumbnail to display the Properties panel, then click the Delete Mask button.